Consolidate storage, blade servers and networking into a scalable, virtualised data centre with the Dell EqualLogic PS M4110 Blade Array. The Dell EMC EqualLogic PS M4110 blade delivers all the functionality and enterprise-class features of traditional Dell EMC EqualLogic arrays in a new blade form factor. The Dell EMC EqualLogic PS M4110 Blade Array enables a fully virtualised solution integrating Dell EMC storage, servers and networking within one blade chassis. The Dell EMC EqualLogic PS M4110 Blade Array enables a true data-center-in-a-box solution to address a variety of environments including highly virtualised environments, virtual desktop infrastructures, multi-application works loads, such as Microsoft® Exchange and database servers, and collaboration infrastructures using Microsoft® SharePoint®. Ideal for small-to medium-businesses, remote offices, and pocket data centres, this solution provides a compact footprint while reducing the need for excessive cable configuration, power, and cooling. 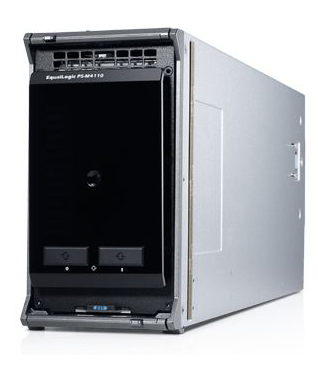 Help improve storage capacity, performance and connectivity for your small or midsize business with the cost-effective EqualLogic PS-M4110E 10GbE iSCSI Blade Array. Deploy an excellent balance of cost-effective performance and capacity for a variety of applications with the Dell EqualLogic PS-M4110X 10GbE iSCSI Blade Array. Master critical applications with the high-performance Dell EqualLogic PS-M4110XV 10GbE iSCSI Blade Array. 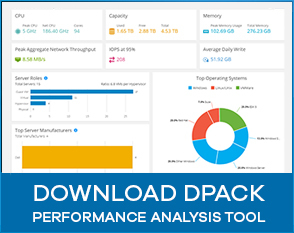 Experience advanced tiering capabilities with SSD low-latency performance and HDD capacity in one storage solution with the Dell EqualLogic PS-M4110XS 10GbE iSCSI Blade Array.